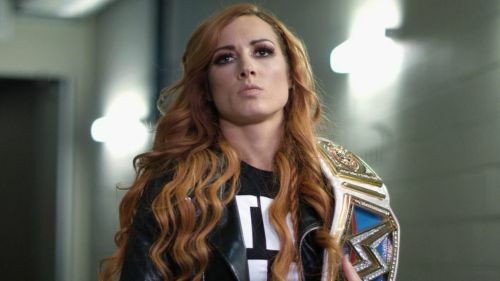 Currently in her second reign as SmackDown Live Women's Champion, Becky Lynch, much like every other single WWE superstar, had to work her way up to the top in the WWE. It was in 2013 when Lynch was signed to a WWE developmental deal and despite having worked only three matches since 2006, Lynch definitely lived up to all her expectations and in order to go through her WWE tryout, 'The Man' found some much-needed motivation via the courtesy of legendary rapper Eminem. Becky Lynch made her televised WWE TV debut in 2014 as part of WWE NXT. Lynch, who was called up to the main roster in 2015 alongside Charlotte Flair and Sasha Banks, is the first-ever and current SmackDown Live Women's Champion. Lynch further recalled that when she first walked into the Performance Center for her initial WWE tryout she kept signing Lose Yourself in her mind, in order to help her get through the first initial stages of her WWE career. Becky Lynch is currently slated to defend her SmackDown Live Women's Championship against Asuka and Charlotte Flair in a Triple Threat all women's first-time ever TLC Match later today.